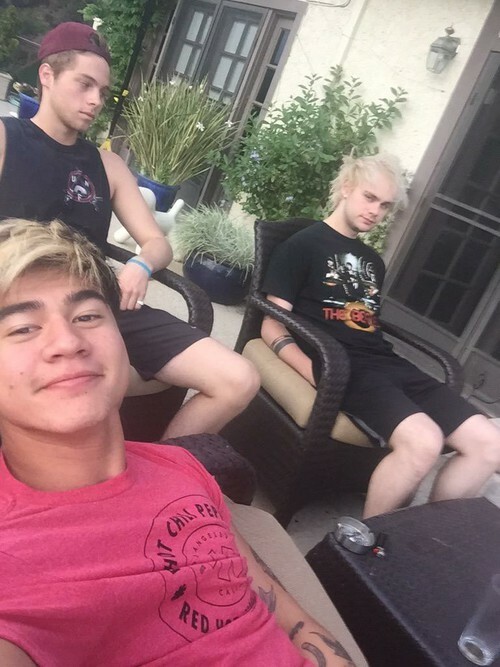 Calum, Luke and Mikey. . Wallpaper and background images in the Luke Hemmings club tagged: photo 5sos 5 seconds of summer luke hemmings calum hood michael clifford. This Luke Hemmings photo might contain automobil, auto, geländewagen, lkw, and suv.